TORONTO – The Toronto Argonauts will play their first preseason game of 2019 at Varsity Stadium on the campus of the University of Toronto on Thursday, May 30 at 11 am against the Montreal Alouettes. The Argos are no strangers to Varsity Stadium as it served as the home of the Double Blue from 1916-1958 as well as playing host to a number of Argonauts preseason games this decade. The Argos are happy to announce this will be a school day game with tickets being sold to students in Greater Toronto Area schools. A portion of each ticket will go towards helping students in need within our communities. Students will be treated to giveaways, mascot, and new Argos co-ed dance team performances as well as Huddle Up Anti-Bullying Program integration throughout the game. A limited number of tickets will be held for season ticket members available in early May. In addition to the preseason game, the Argonauts also announced the organization will be giving away 2,000 CFL leather footballs throughout the 2019 season. More information on this project will be available shortly, please visit http://www.argonauts.ca or follow @torontoargos for more info. The Boatmen’s 2019 regular season kicks off at 4 pm on June 22 vs the Hamilton Tiger-Cats. 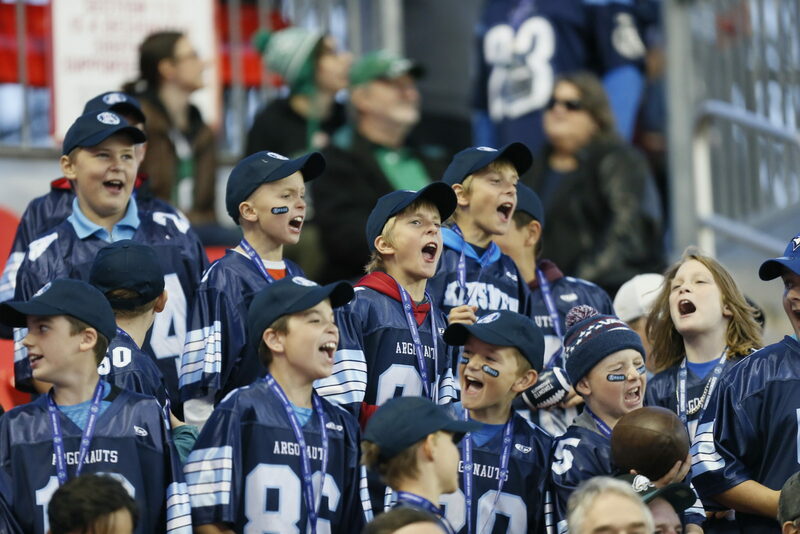 Tickets will be available in early May, don’t miss your chance to cheer on the Argos live and in person for the first time at BMO Field in 2019!